A sophisticated silhouette that brings to mind the glamorous film stars of the forties. 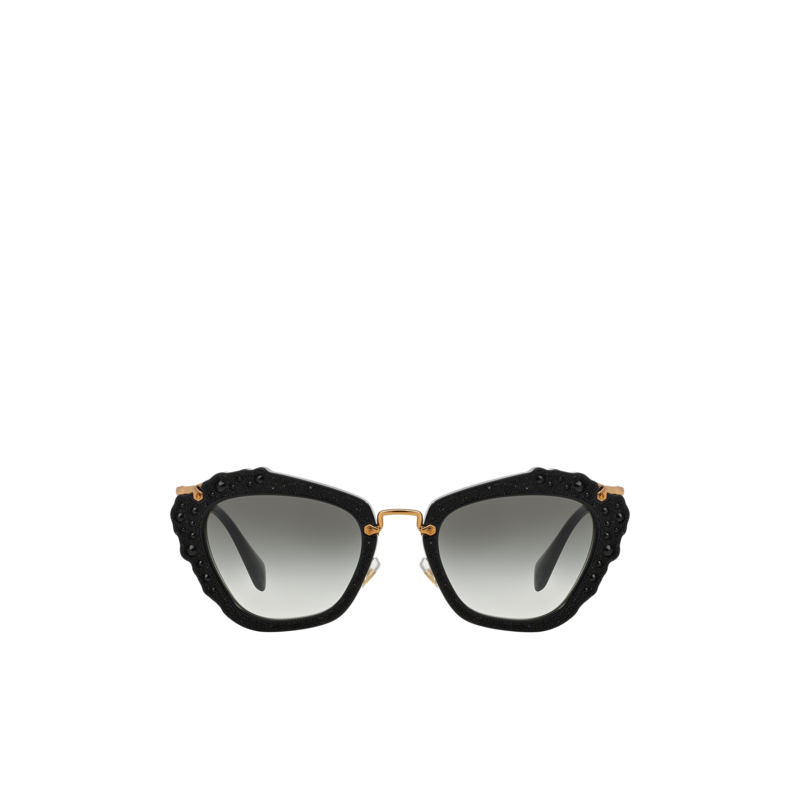 Acetate frame front with distinctive glitter fabric inserts and rhinestones. Antiqued gold metal bridge and temples. Miu Miu logo engraved on the temples. Adjustable nose pads make this style suitable for any fit.